From bold centre-door knobs for your front door, to lockable bedroom and bathroom door knobs, our range of door knobs includes a vast array of different styles and finishes to suit any design scheme. Adding a new, clean and fresh feel to your doors simply by renewing your door knobs can vastly improve the look and feel of your home, and with the wide range of styles available, can be used to assist in the flow of your home décor. 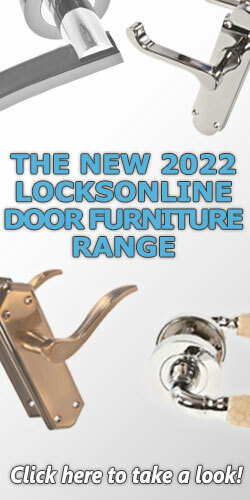 Like with any door furniture, replacing old tired-looking door knobs can really help revitalise your home. It is a common mistake to neglect this because every room has at least one door, and the door is your first impression of a room, even if only on a subconscious level - particularly front doors! 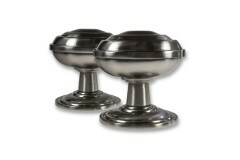 There are various types of door knobs available which you'll see below - namely, you have centre door knobs which are the large statement pieces you see in the middle of grand front-doors to houses. 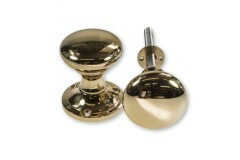 Then you have the option of mortice or rim style door knobs. Mortice type door knobs are simply designed to sit onto each side of the door and operate a latch or lock which is physically fitted into the wood of the door. 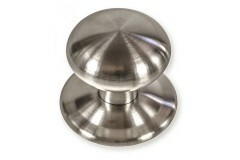 Rim type door knobs are designed to work with locks which are fitted on the surface of the door inside the room. These pairs of knobs are specially designed to sit onto the face of the door on one side, and then of course on the other side it needs to actually sit onto the lock face so is designed differently. Lockable knobsets are ideal for private areas of your home, because they offer the ability for you to lock them, preventing entry. 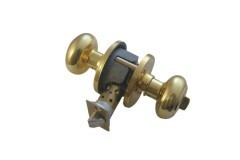 These come in form of both locking and privacy style knobsets, ideal for bedrooms and bathrooms. And of course there are matching 'passage' versions which are just your standard non-locking equivalents but in the same style. 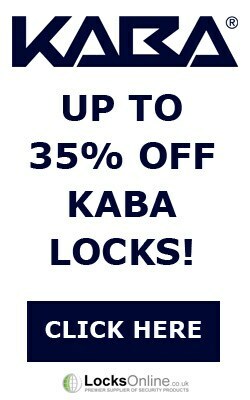 Knob sets are locks where the lock and handle are integral to each other. Probably the most common brand is Weiser Locks from the USA, owned now by Black and Decker. This type of lock was more common ..
Centre Door Knobs are designed to be used simply to pull open doors. They have no mechanism or locking capability - they simply sit on the outside of the door, and allow it to be pulled open or closed..
Mortice door knobs are used with Mortice Dead Locks. These are designed to be fitted onto the door and to throw a bolt into a keep in the frame, by using a key. 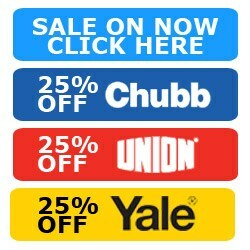 Don't forget you will need to finish yo..
A rim door knob is designed to suit the Rim lock, a locking device that attaches to the surface of a door, rather than being installed in the door. Typical installation of a rim door knob is that one ..